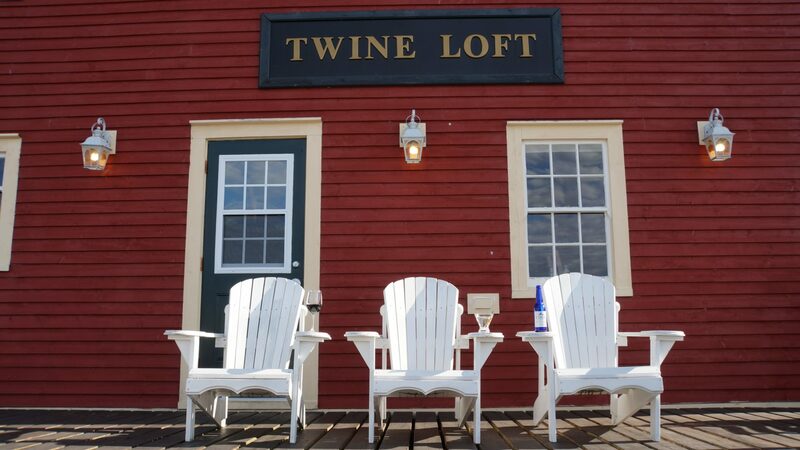 The Twine Loft offers an extensive and carefully curated beverage list for both evening dining or relaxing on the deck. 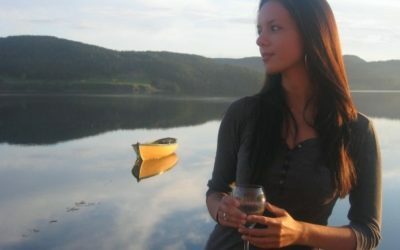 The list was designed by the Twine Loft’s manager Marieke Gow who attended Algonquin College Sommelier Program in 2009. 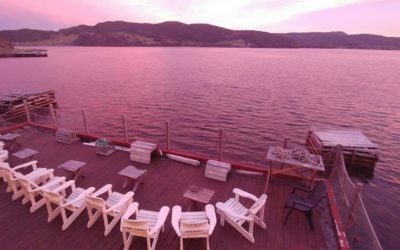 The list includes over 40 wines by the bottle, 9 wine by the glass options, locally crafted beer, a varied Whisky list and Twine Loft signature cocktails made with local ingredients such as our Blueberry Rummer Runner and our Rhubarb Slushy. 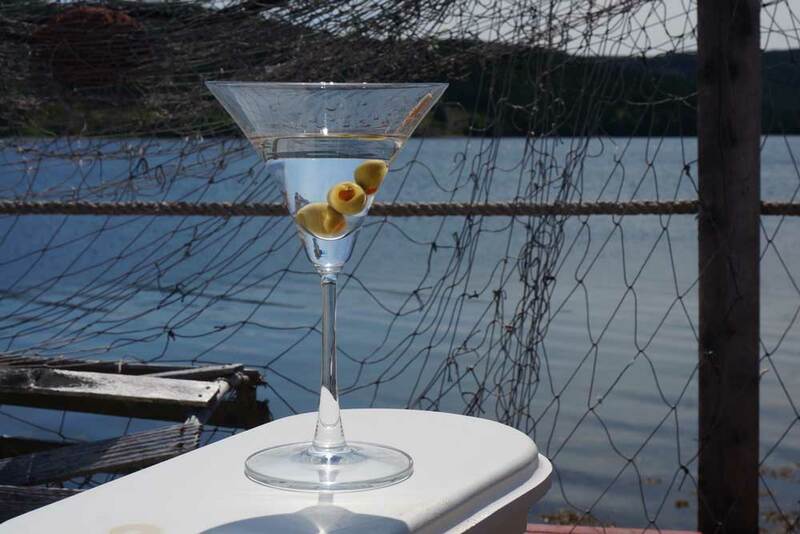 On this page you will find samplings from our beverage list (these are samples from last season’s list and prices may vary) and answers to frequently asked questions regarding BYOB and corkage policies in Newfoundland and Labrador. 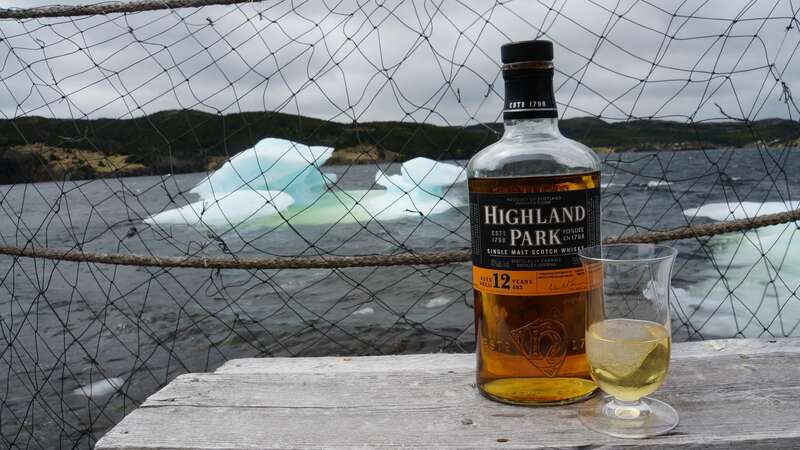 Sit back on the deck and enjoy a 12 over 12: 12-year-old Scotch poured over 12 thousand-year-old iceberg. 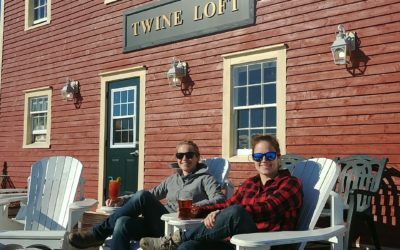 The Twine Loft hosts a daily Happy Hour that is open to the general public. 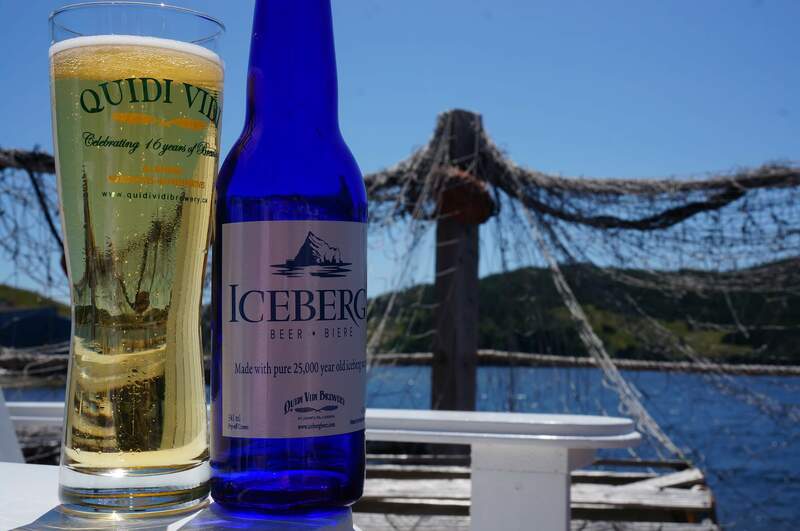 At this time we offer specials on a variety of drinks including our wines by the glass, Quidi Vidi Beers and a variety of Cocktails including our signature slushies. Reservations are not required to attend Happy Hour, however, seating space can be limited on busy days. 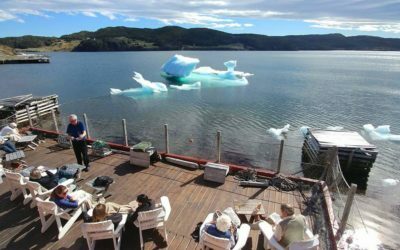 The Happy Hour schedule can vary during the different seasons. Typically from June – September Happy Hour is between 3pm-5pm and during the months of May and October, it is between 5:00pm-6:30. 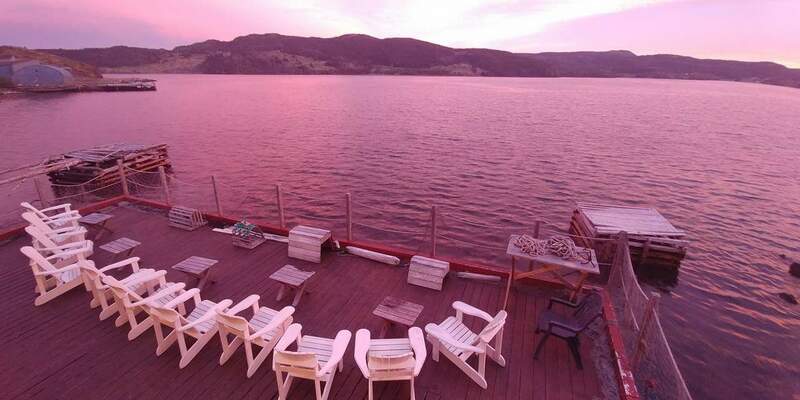 Please be advised that our cook is preparing evening dinner at this time and there is no food service available at the Twine Loft during that time. 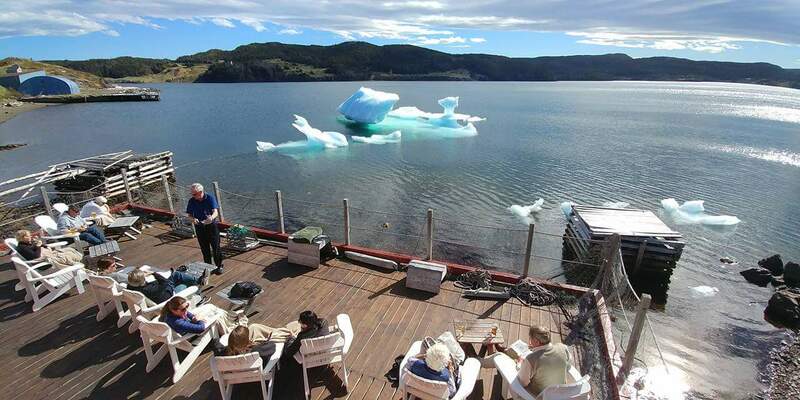 Chuncks of iceberg coming into our cove only happens during select years around the months of May and June. We can’t guarantee the experience, but this photo taken in Spring of 2017 is worth a share. The Twine Loft uses Newfoundland vodka and gin made from 10,000 year old icebergs. 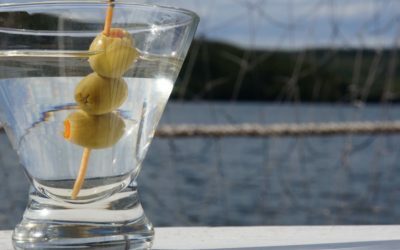 What is the legal drinking age in Newfoundland and Labrador? 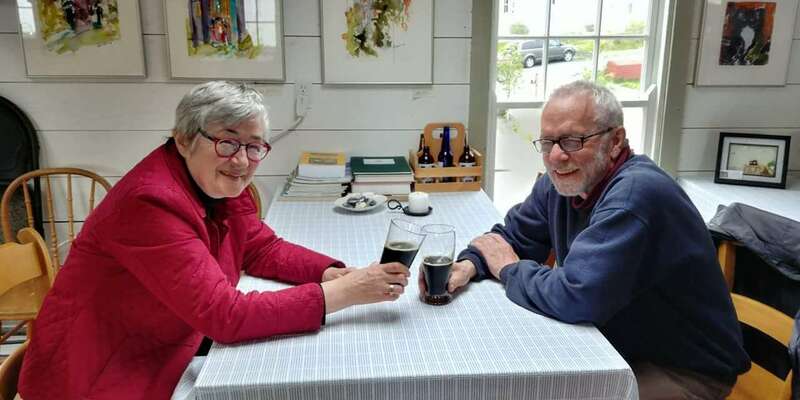 You must be 19 years or older to consume alcohol in Newfoundland. 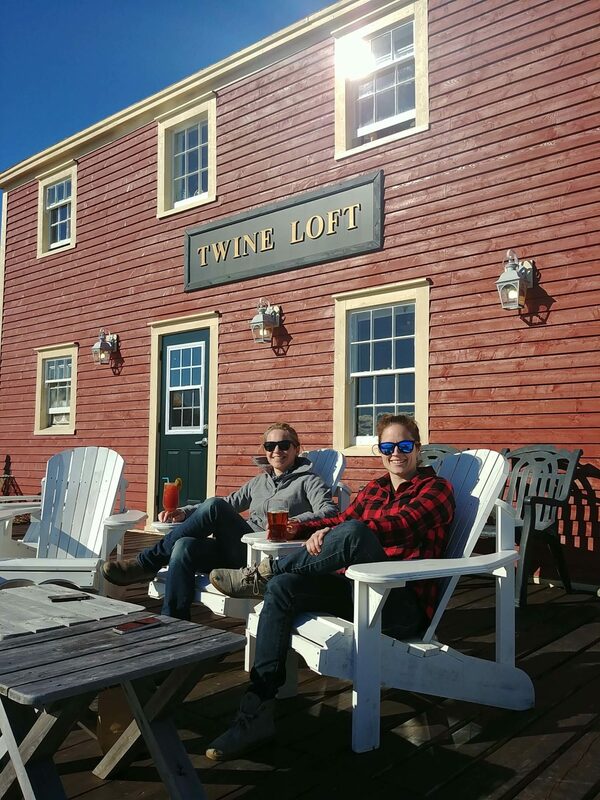 Can I have a drink at the Twine Loft if I am not dining? Please be advised that our service staff typically start work 3 hours before the first dinner service that day. If you show up before this the staff on site (the cook or office manager) will do their best to cater to your needs, however, they may not have the knowledge to prepare every drink on the list for you. Once dinner begins our dining guests are our top priority. You may have to wait a bit longer for service. Our staff will try to be as honest as possible regarding how long it will take should you show up at this time. 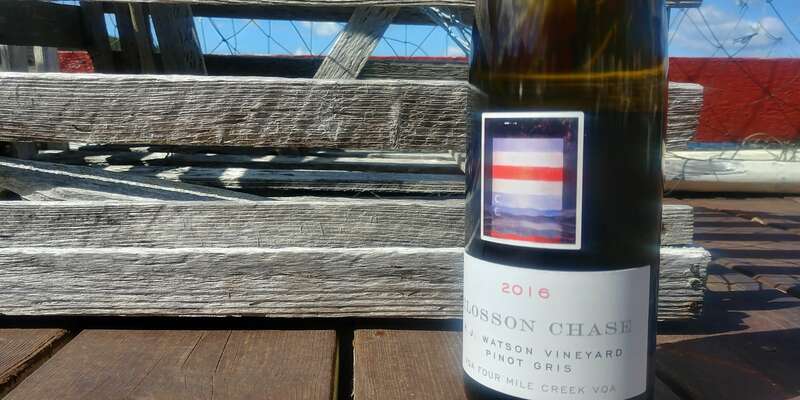 Can I bring my own bottle of wine when I come to dinner at the Twine Loft? No, bringing your own bottle into licensed establishments is against the law in Newfoundland. If I do not finish my bottle of wine, can I have it corked and leave the restaurant with it? 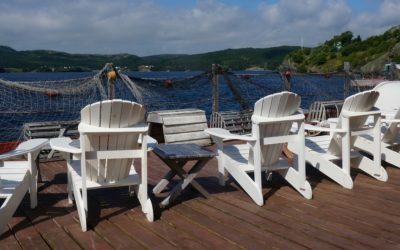 No: Licensed establishments in Newfoundland and Labrador are not permitted to allow guests to leave the premises with alcohol they purchased. With this in mind, we do provide an option where you can have your bottle corked and saved in the Twine Loft. 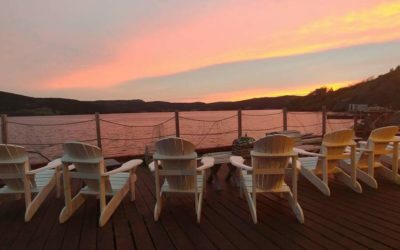 You may decide to return the following day to enjoy it on the deck or in the loft or request that same bottle if you return to dine with us within the next two days. We will hold bottles for two days before disposing of them. Additionally, we provide 9 wine by the glass options which are also available in half-litres. It is important to us, especially when one guest at the table has to drive, that our diners are able to have a quality experience without feeling the need to order an entire bottle. If I am staying at the inn, can I bring my opened bottle back to the house or room I am staying in? Unfortunately, we cannot allow open wine to leave the premises but will store it for you if you wish. If I am a guest of the Artisan Inn can I bring my own alcohol onto the Twine Loft deck? 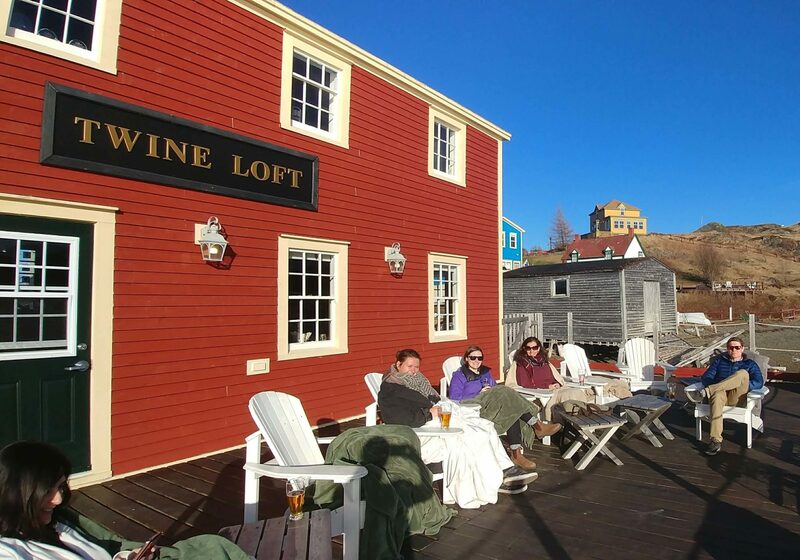 The deck is part of the licensed establishment and therefore bringing your own alcohol is not permitted by the Newfoundland and Labrador liquor regulations. 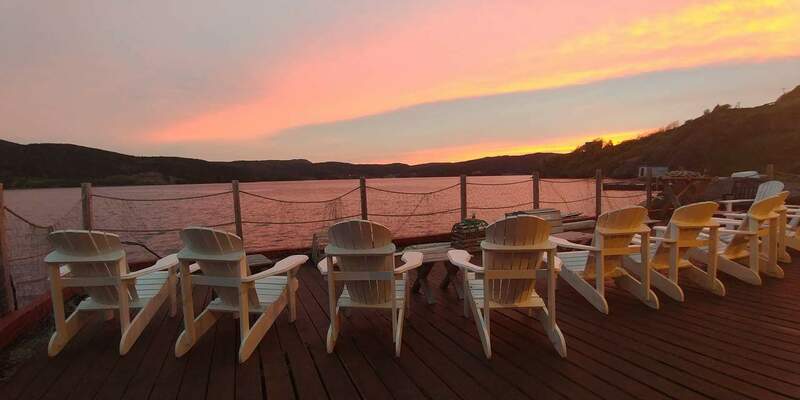 All vacation home rentals offer a private outdoor space to enjoy your own beverages. 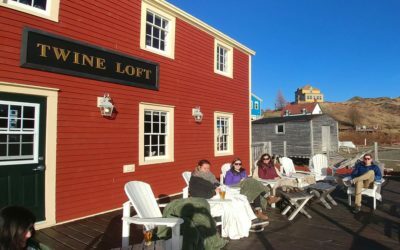 Some, but not all, of the room rentals also have access to outdoor spaces other than the Twine Loft deck to bring your own alcoholic beverages. If this is of importance to you please read the individual room descriptions or contact us.